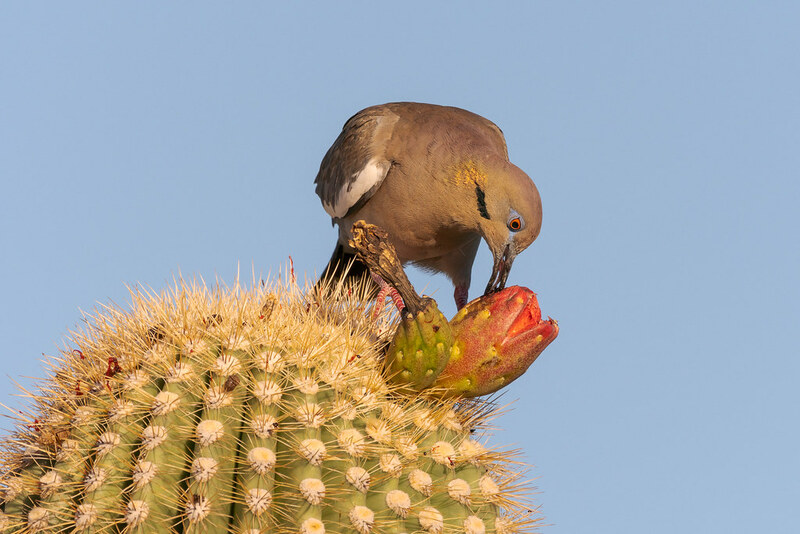 Early on a summer morning, a white-winged dove uses its tongue to eat from deep within the fruit of a saguaro. The red covering many of the spines atop the cactus is not blood but rather pulp and juice from already-eaten fruit. This entry was posted in Birds, Plants and tagged Arizona, Brown's Ranch, cactus, desert, eating, fruit, Latigo Trail, McDowell Sonoran Preserve, perching, saguaro, Scottsdale, Sonoran Desert, white-winged dove. Bookmark the permalink.